Josh Dunnivant and Cole Pasichnyk, solar installers/electrical apprentices with Puget Sound Solar, carry 40-pound Itek solar panels to the roof of a Seattle home last month. A bill extending incentives that make solar more affordable was signed by Gov. Inslee, encouraging installers who say that the incentives remain key to selling the technology to cost-conscious customers. The Washington solar industry has a few more years of sunshine and clarity to look forward to after Gov. Jay Inslee on Friday signed the Solar Incentives Job Bill. Many in the solar industry believe the bill, which extends incentives that make solar more affordable, could help carry the Washington solar industry until panel and installation prices go down enough to make it sustainable without tax breaks. “It will give consumers and businesses a real stable platform,” ending uncertainty for potential customers about the costs and payback, said Stu Frothingham, marketing and outreach coordinator for Seattle-based installer Artisan Electric. Industry members maintain incentives are still key to selling solar systems to cost-conscious customers, but they hope advancing technology and lowering costs will mean the industry soon won’t be so reliant. A Washington homeowner who installs solar panels is eligible to receive payments from a state fund based on the amount of energy produced. But that fund has been running low in many utility districts around the state, and the program was due to end in 2020. The new bill ramps down the incentive payments over time, and increases the amount utility districts have to dole out. Under the new law, any residential solar project installed by June 2021 can receive incentives until 2030. Rates are lowered year by year, with a new customer locking in to a rate based on the year a system is installed. These payments continue for up to eight years until 50 percent of the cost of the system is paid off. Solar-power systems made in Washington will still be eligible for bonuses, although those are reduced. Residents that previously installed solar will keep receiving incentives based on the rate they received in June 2016, and can continue until 2020, when incentives were previously scheduled to run out. Before the bill was passed, the solar industry faced a quickly approaching end to incentives at both the state and federal levels. The federal tax credits for solar systems will still be in full effect until 2019. The solar industry has been trying to pass similar bills for several years. 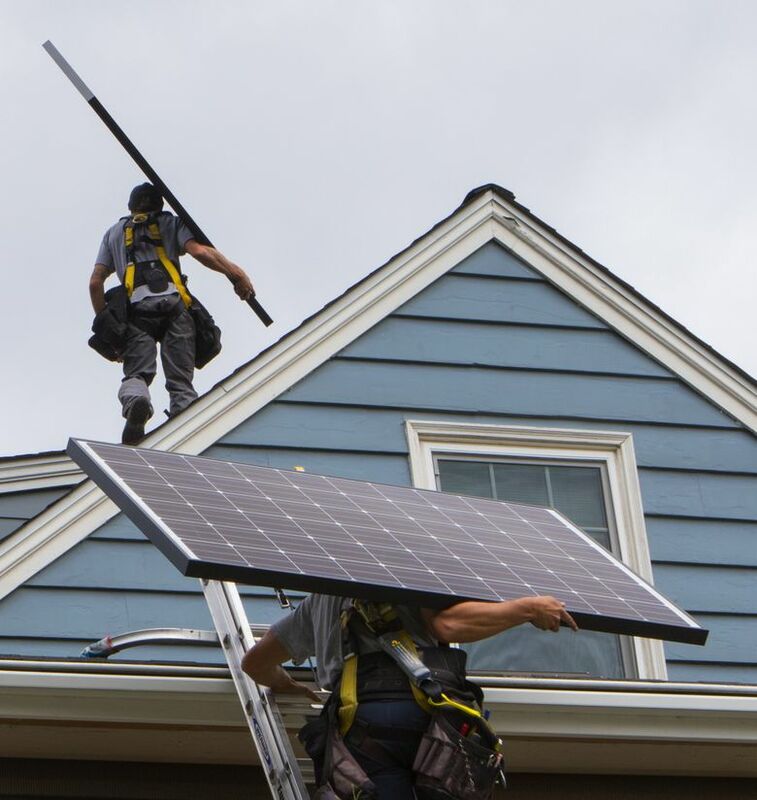 Jeremy Smithson, CEO and founder of Puget Sound Solar, said the legislation provides a clearer future for the industry and for homeowners looking to go solar. “It gives certainty in what people can expect out of the next few years,” Smithson said, adding the bill provides a clearer future for the industry and homeowners looking to go solar. Karl Unterschuetz, director of business development for Itek, the largest panel manufacturer in the state, predicted the bill would help grow the state’s solar market and give Itek the opportunity to continue exporting panels to other states. Derek van Veen, who lives in unincorporated King County, said reduced payouts have changed how long it will take his system to be paid off, but he’s glad they will continue. Seattle solar homeowner Michael Leggett has convinced six or seven friends to go solar and said financial information is always a big factor.